Thank you for visiting my web site. I am Elayne Rae Crystal - a Reiki Master and Practitioner. People have asked me if I changed my name to correspond with the word "Reiki" which is pronounced as "Ray-key"
Here is my answer: I am using the names Elayne Rae, given to me at birth. My last name is my married name - Crystal. It is a nice coincidence that my names are connected with what I practice and teach. Reiki Master means I am a teacher of Reiki. I provide training for those interested in learning Reiki. I teach classes in First Degree (Shoden), Second Degree (Okuden) and the Master level (Shinpiden). Reiki Practitioner means that I can give Reiki treatments to people, animals, and even plants. Prescription medications certainly do help these conditions, yet often there are negative side effects when taking them. Reiki can be used in combination with medical treatments and often decrease the need for medication. It is a Japanese hands-on relaxation and healing technique that promotes balance in your body. 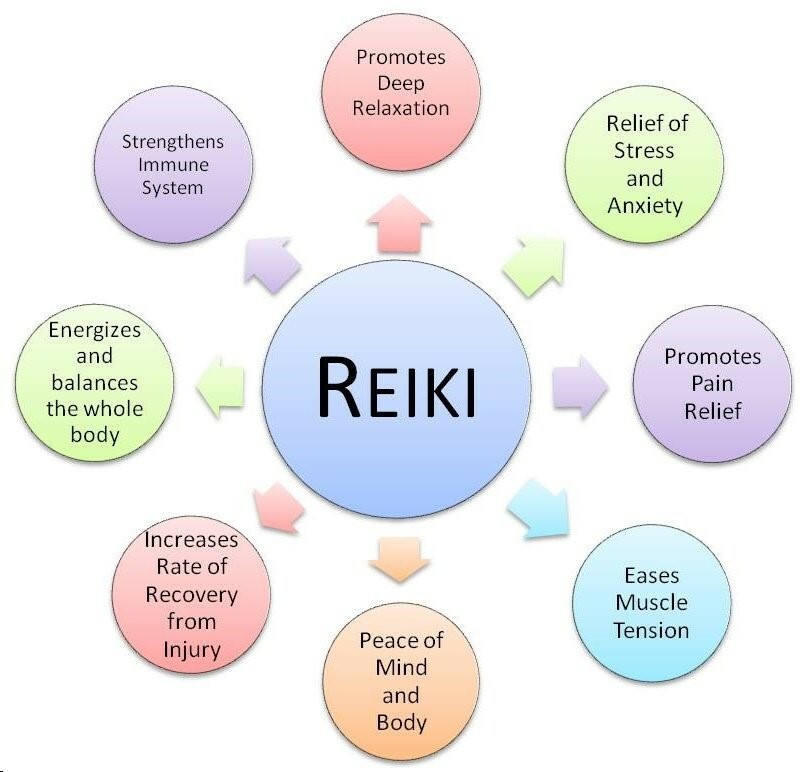 Reiki can help relieve pain, suffering, dealing with life's inconveniences and irritations, and enhances the quality of life. It can be taught to anyone who wants to learn without prior experience or training. It can help agitated people and animals become more tranquil and feel calmer. On this web site, I have made some suggestions "How to select a Reiki Practitioner and a Reiki Master/Teacher". Look under the section called What is Reiki and scroll down the page to see what I have suggested. I have also repeated some facts in the different sections as I realize that some readers may look at some sections and not read all of the sections on this web site. I want to make sure to give you the best understanding about Reiki that I possibly can. The ideal situation is to have a Reiki treatment/session to experience for yourself and see how you feel afterwards. I use and teach the traditional system of Reiki called Usui Shiki Reiki Ryoho. This translates as Usui's Method of Natural Healing. There are times when you take a class elsewhere and after coming home, you file the notes and forget what was taught. First Degree Reiki is one class that you can use immediately after learning and for the rest of your life. Reiki is great for first aid such as dealing with pain, accidents, stress, and emotional upsets. Reiki can relieve symptoms and support recovery from chronic illnesses. It is very easy to learn. No one has ever failed a Reiki class. You can use Reiki anywhere -- at home, at work, when travelling, and/or even when watching a movie. Reiki differs from other energy healing methods because there is a specific Initiation process. Initiations, also called Attunements or Energy Activators, start the flow of Reiki in a person's body. Each initiation protects you, the student, from transmitting or absorbing any negative energetic patterns. I consider Reiki to be a true blessing in my life. It was a big commitment (time wise and financially) for me to become a Reiki Master. As a Reiki Master, I don’t consider myself to be “The Master” but a teacher in the sense of someone who teaches, and is always learning from others and through my own experiences. This diagram is a good way to explain Reiki. I feel very fortunate that I learned Reiki. It helps me deal with life's challenges in a positive way, as well as feeling good to be able to help others. My hope is that you can experience and enjoy the benefits of Living with Reiki.